A memorandum or shortly known as a memo is a precise official note, used to inform, direct or advise the members within the same organisation. However, the business deals with a number of external parties such as customers, clients, suppliers, government agencies, manufacturers, societies, etc. for which a different tool of communication is used, called as a business letter. A letter refers to a brief message sent by the company to the person or entity, which are outsiders. Large corporations require an effective system for communication of information and messages, promptly, within and outside the organisation. In this context, the telephone is one of the easiest and convenient ways for instant communication, but when it comes to evidence, written modes are considered best. Written records include memos, notes, letters, circulars and orders, which are used by the organisation. The article presented to you attempts to shed light on the difference between memo and letter. Meaning Memo refers to a short message, written in an informal tone for interoffice circulation of the information. Letter are a type of verbal communication, that contains a compressed message, conveyed to the party external to the business. Exchanged between Departments, units or superior-subordinate within the organization. Two business houses or between the company and client. Signature Signature is not required in a memo. A letter is duly signed by the sender. Content Use of technical jargon and personal pronoun is allowed. Simple words are used and written in third person. The memo is short for the memorandum, which means a note or record for any use in future. It is a short message used as a means of informal communication within the organisation, for transmitting information in writing. It may be titled as interoffice communication, office memorandum, or interoffice correspondence, rather than a memorandum. The primary objective of memos is to disseminate business policies, procedures or related official business. These are written in one to all perspective and can serve different purposes like conveying news, directions and information to multiple recipients, calling people to action or meeting. One can use an informal tone and personal pronouns in the memo. There is no requirement to use a salutation and complimentary close. 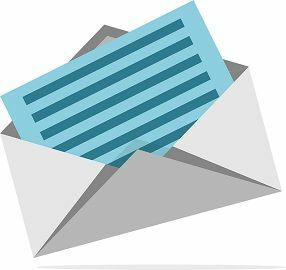 A business letter can be defined as the form of written communication, that contains a long message, addressed to the party external to the organisation, i.e. supplier, customer, manufacturer or client. It starts with a salutation, written professionally in the third person and has a complementary close with a signature. The relationship between the sender and receiver plays a significant role in determining, the overall style in which the letter is drafted. These are used for a number of reasons such as a request for information or feedback, order placement, making complaints or grievances, enquiring something or taking follow-up. The letter is printed, typed or written on the letterhead paper, which contains the details of the company like name, address, logo, etc. As business letters serve as evidence for both the parties concerned, so it needs to be polite, courteous and respectful to gain immediate response. The memo can be defined as a short message, written informally to communicate certain information to the members of the organisation. Conversely, letters can be understood as a means of a verbal communication containing a brief message addressed to a party external to the business. A memo uses informal tone and is straight to the point. On the other extreme, letters are very formal and contain lots of information. The use of memorandum is internal to the organisation, in the sense that it is exchanged between two departments, or units or sent by the manager to inform subordinates. As against, the use of letter is external in nature, as it is exchanged between two business houses or between the company and client. When it comes to length, letters are lengthier in comparison to the memo. There is no requirement of a signature in the memo, as it is used within the organisation. However, the letter is to be duly signed by the one who sends it. Memos are written to inform or direct, a department or number of employees on a certain matter and so it is usually written from one to all perspective, such as mass communication. Contrary to this, letters are private as it addresses to a particular party or client, so it is a form of one to one interpersonal communication. Technical jargons are commonly used in memos, as well as uses personal pronouns. Unlike, letters avoid the use of technical jargons and terms which are not easy to comprehend. Moreover, letters are written in the third person. A memo is an essential tool for business communication, which is used to transmit a particular information to many individuals working in the same organisation. It has a great role to play in recording the day to day business activities and can be used for future reference. In contrast, letters are considered as the best mode of written communication, that can be used for giving or seeking information to/from an external party. It helps to persuade the receiver, to do as per the will of the writer. Surbhi, the comparison you made between memos and letter was amazing, and it is helpful to the public especially students. Awesome job Surbhi.